I was positively surprised by a young adult book last year. The author of that book published a new book this year, called Two Can Keep a Secret. I thought I'd go on the young adult tour once more, to see how I'd like it this time. Here's how it ended up. Although the titles both have numbers, this book has nothing to do with the previous book from the same author. Instead, this story has its own characters, places and plot. Which is a good thing, really! There are characters in this book that have been on my nerve since page one. Some characters are in this book to fill the pages, not to add to the story. What a shame and a waste of time for all of us. I don’t really like how Ellery develops through this book. There’s nothing that lifts her to a higher level or makes her change based on the plot. Instead, she just asks questions, annoys people and tries to construct a murder theory around each person she meets. What’s going on with sh*t happening that’s unused in this book? Has the author never heard about Chekhov’s gun? For instance, why would you hint at twins being able to take each other’s place if you’re not going to use that? That would have made for a spectacular twist near the ending! I liked how I wanted to know what really happened, although I figured most of it out by the time I reached the half point of the book. For me, it was only worth ✩✩. There were just too many letdowns. I’ll stick to my normal genres for now, but maybe I’ll read a young adult book again someday. Who knows? 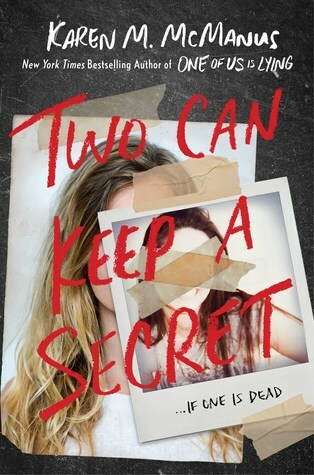 Did you read Two Can Keep a Secret? What’s your opinion about it? Leave a comment below and let me know! The nerd with a mouth.